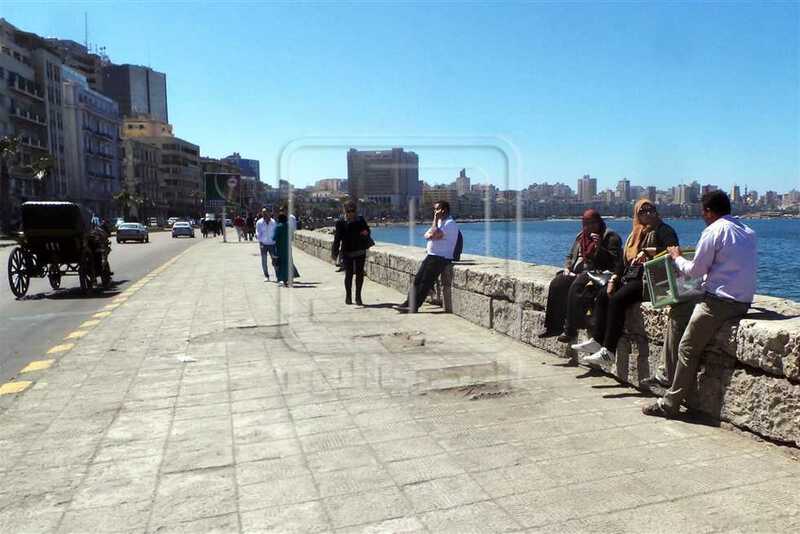 Meteorologists predict mild weather on Egypt’s northwestern coasts on Sunday with warmer temperatures in Lower Egypt and Cairo, hotter in Upper Egypt, and growing very cold by night across the entire country. Temperatures predicted for the following cities are 19C in Alexandria, 23C in Cairo, 29C in Qena, 30C in Luxor, and 31C in Aswan. Mist will affect visibility during morning hours in the northern parts of the country until northern Upper Egypt, and will be dense in some roads. Low and medium-level clouds are expected for the eastern parts of the country. Winds will be mostly northeasterly and moderate, active in the Red Sea and the Gulf of Suez and disrupting maritime navigation there. Waves in the Mediterranean Sea will be low to moderate and range between 1 to 1.5 meter in height, with northwesterly surface winds, while waves in the Red Sea will be moderate to rough and range between 2 to 2.5 meters in height, with northeasterly surface winds for both seas.